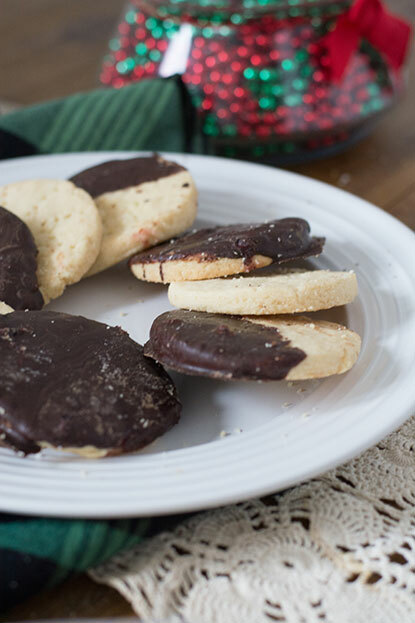 Turns out, shortbread at it’s simplest is just three ingredients: butter, sugar and flour. Admittedly I was taken aback at first, but it makes complete sense. 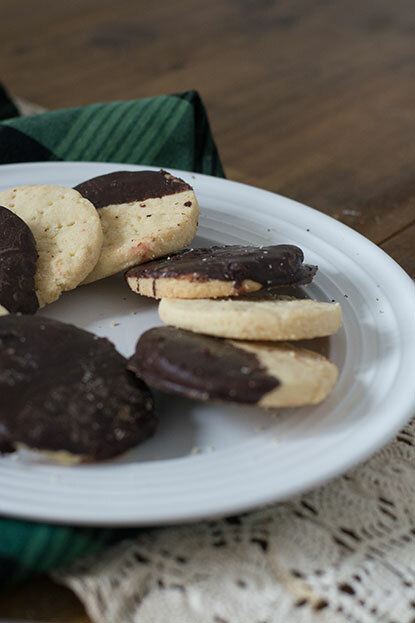 It has the sweetness of a cookie, but the crisp, flaky texture of a cracker. 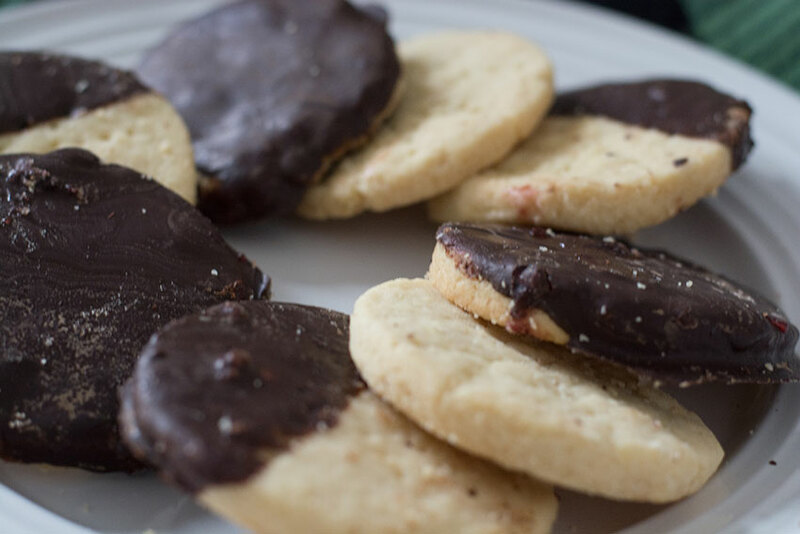 They make for a great base for a bit of jam or as a standalone cookie. I decided to experiment a bit and added raspberry jam and dipped them in dark chocolate. Boy am I glad I did. I am a sucker for raspberry and chocolate anyway, and this was no exception. 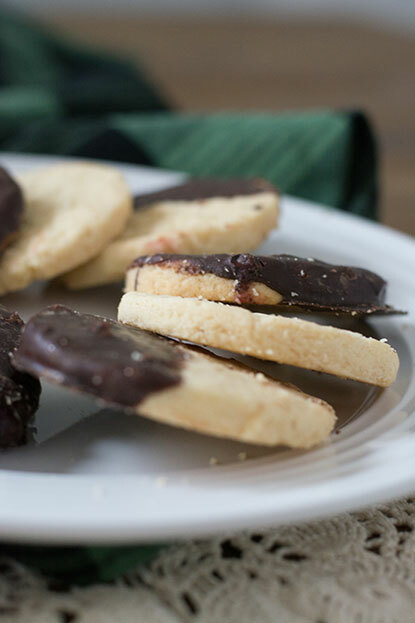 The dark chocolate balances out the sweetness of the jam and cookie and adds a little something to the shortbread. Merry baking! Preheat your oven to 325 degrees. Cream together butter and sugar. Add in both extracts while creaming butter and sugar. Stir in flour, using your hands if necessary. Flour the dough, rolling pin and surface before rolling out your dough. Carefully cutout the dough and gently poke the dough with a fork. 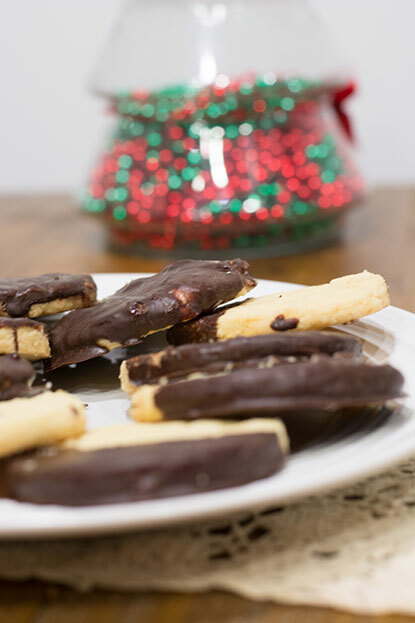 Transfer the dough over to a lined cookie sheet with a cookie spatula. Bake at 375 for about 18-23 minutes. Let cool on a wire rack completely before decorating. To melt the chocolate, you can microwave it in 30 second intervals and stir well between each interval. As it cools, make sure to keep stirring it to maintain a shiny texture. You can also use a heat-proof bowl over a pot of gently boiling water. 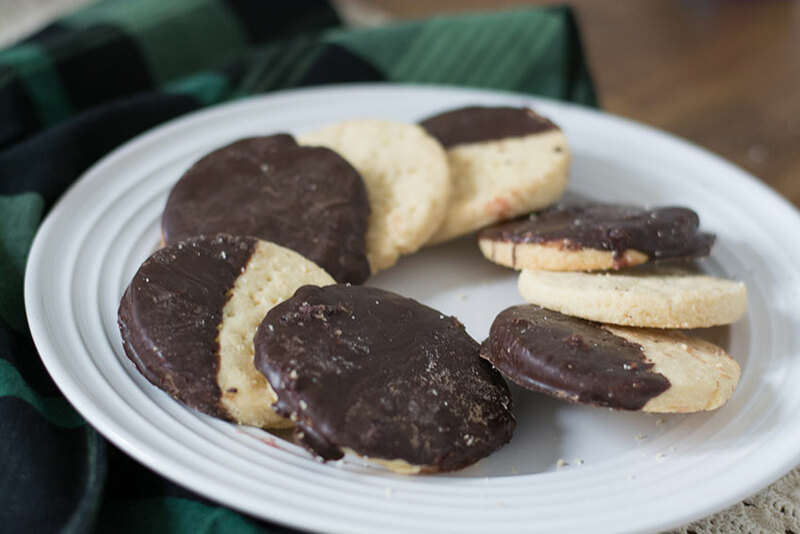 To assemble the cookies, spread a thin layer of raspberry jam on top and dip the jam side into the chocolate. Beautiful cookies ! Nice idea to dip them in dark chocolate !! Why thank you! 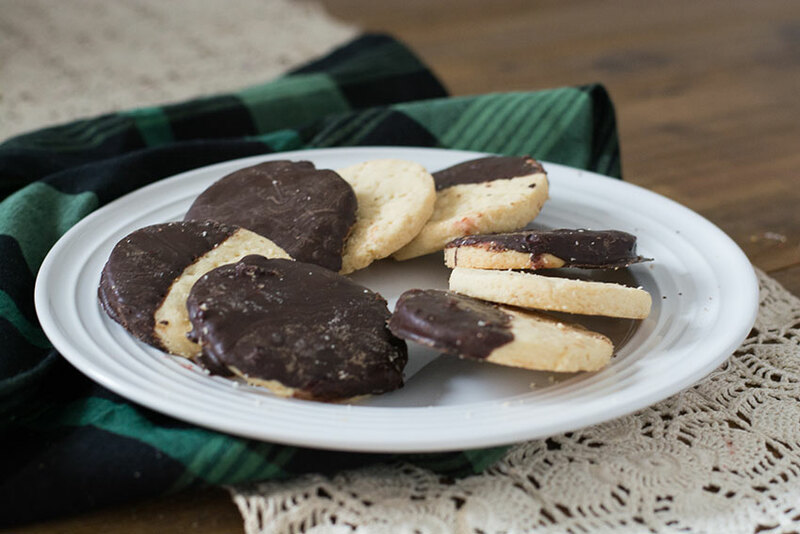 Dark chocolate is my favorite and it was fun to use it in a slightly decorative way.